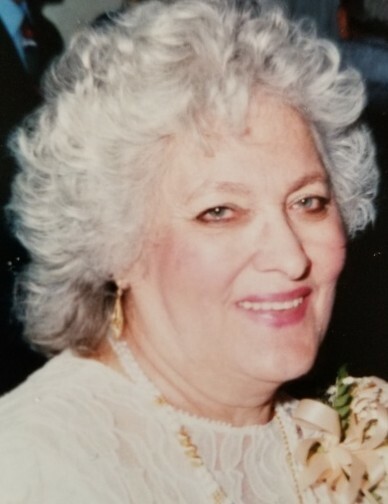 Carolina Vaca Flores, age 89, of Hammond, passed away on Monday, August 27, 2018. Carolina was a loving mother, grandmother, sister, devoted daughter, and loyal friend who loved her family and cats dearly. Carolina was blessed with grace and beauty beyond belief with beautiful green eyes, a creamy complexion and a smile that could light up any room. You could always see the pride, excellence and class in everything she did in life. She brought her beliefs anchored by strong family values and catholic faith into how she approached life. She was a hard worker, dedicated, and very generous to others. You could count on her to lend a helping hand to anyone in need. Carolina will be loved and honored by her family for eternity; she will live on forever in our hearts, memories and stories that shall be passed on to generations. Carolina was born in Jalisco, Mexico on December 15, 1928, where she attended school. Later, she married her husband Adolph N Flores in May of 1947, and moved to the United States. She and her husband were blessed with four beautiful children, Adolph Jr., Alan, Leroy and Vickie whom they raised in Hammond. She loved to garden, sew, crochet, cook, and bake wonderful goodies for her family. In 1968 she took a job with Rand McNally, where she was awarded a letter of excellence from the company’s president, for her outstanding work. She eventually joined her son, Adolph Flores, Jr, as a co-owner of Pepe's Mexican Restaurant in Griffith, IN, for 32 years. Funeral services will be held Friday, August 31, 2018 at 10:00 AM at St. John Bosco Catholic Church located at 7113 Columbia Ave. in Hammond, with Fr. Richard Orlinski. Burial will follow at Elmwood Cemetery, in Hammond. Friends may meet with the family Thursday, August 30, 2018 from 4:00-8:00 PM at White Funeral Home, located at 921 W. 45th Ave. in Griffith. In lieu of flowers, memorial donations may be made to the Alzheimer Association or Cancer Association or charity of your choice. Please contact White Funeral Home at (219) 924-4100, for further information.